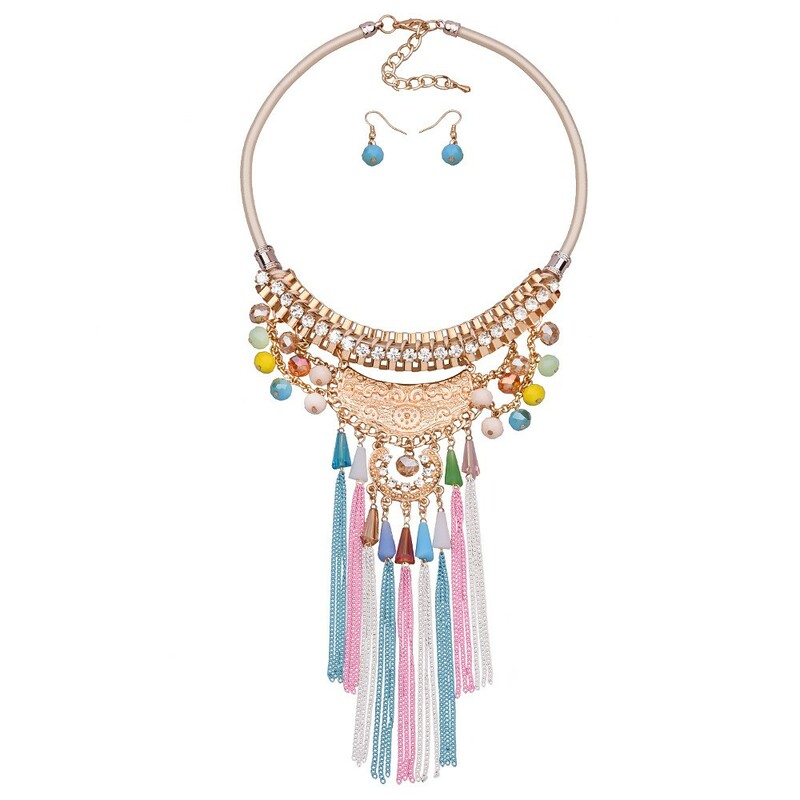 A beautiful gathering of color, by Style With multiple strands lined with multi color seed beads, this boho style long drop tassels necklace and earring sets are really the perfect jewelry choose for sunny days and beach party or holiday. chain with lobster clasp. 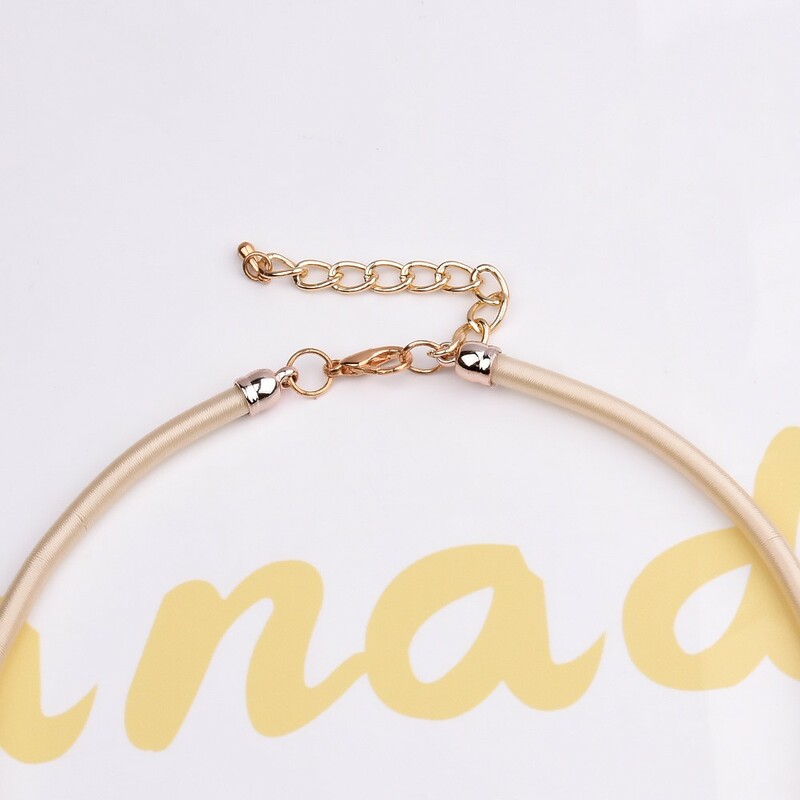 Approximate perimeter 49 cm, the metal chain length 16 cm and 8 cm extender. 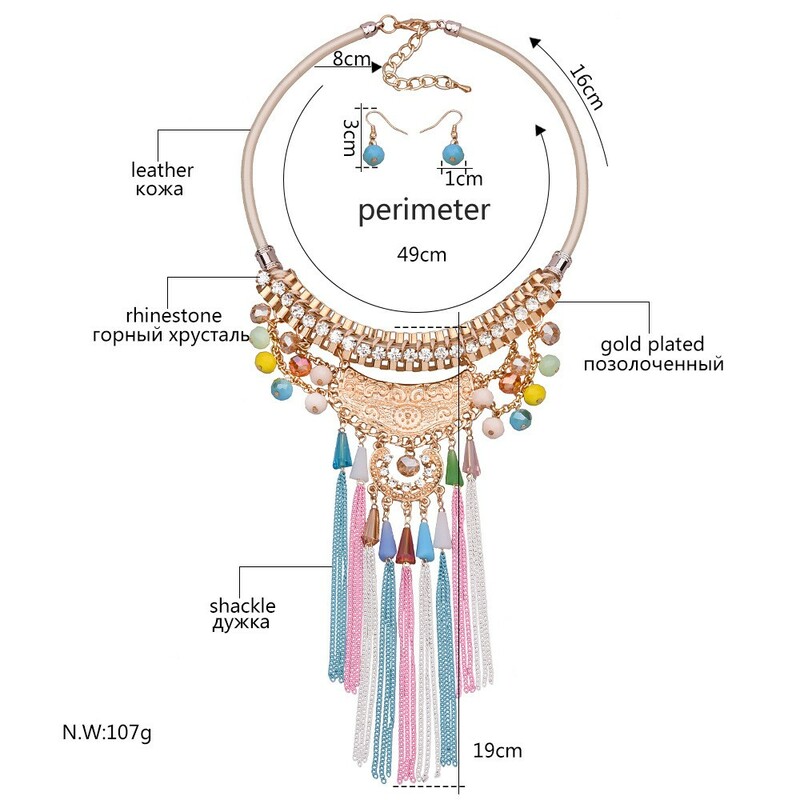 The rose gold leather and colorful beads matched the tassels trim perfectly,with the combined color pattern providing an overall dignified appearance.